Democratically elected government of the day should have the freedom and the authority to decide on policy matters and direct the country’s economic progress taking advantage of the ongoing global and regional developments. It is natural for trade unions to oppose any kind of reforms that affect their employment but they have no authority to overstep their territory by impinging on the government’s mandate to run the country. 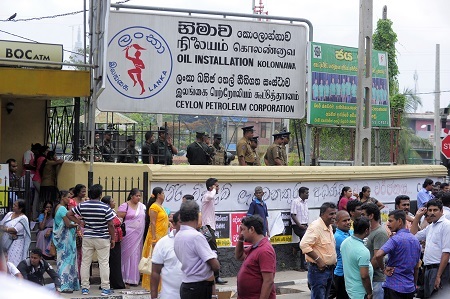 People who have been sick of student protests and GMOA strikes over SAITM issue were forced to witness another series of trade union excesses this week at the Ceylon Petroleum Corporation (CPC). The sudden stoppage of work by the petroleum workers caused immense hardships to people and was about to bring the whole economic machinery to a standstill when the police and the army intervened under an essential services order and brought the situation under control. The main demands of the trade unionists were only remotely connected to their trade, right to bargain or conditions of employment. On the contrary they were trying to impinge on the lawfully elected government’s right to govern the country by dictating them on the economic policy. 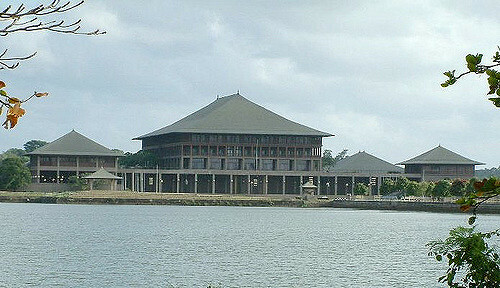 They were demanding that the Hambantota Port privatization deal be amended to keep petroleum related activities under the CPC; the proposed joint project with India to develop the hither to neglected British built oil tanks in Trincomalee be stopped and the oil tanks should be handed over to the CPC; and Sapugaskanda oil refinery be modernized with state funds under the CPC without getting the foreign private investments into it. The CPC workers have no right to dictate to the government on this type of policy matters. As is the common knowledge, the Hambantota Port is a huge burden to the government with Rs 43 billion loss in 2015 alone and the only way to make it viable is to manage it with Chinese participation and the deal with the Chinese company will rid the country of the debt burden by transferring an equity share in lieu of the loan. It is no secret that the Chinese funded the project because Hambantota will be an important port on their proposed Silk Route. The previous government rightly or wrongly had embarked on this project and now we have little option other than working with the Chinese. 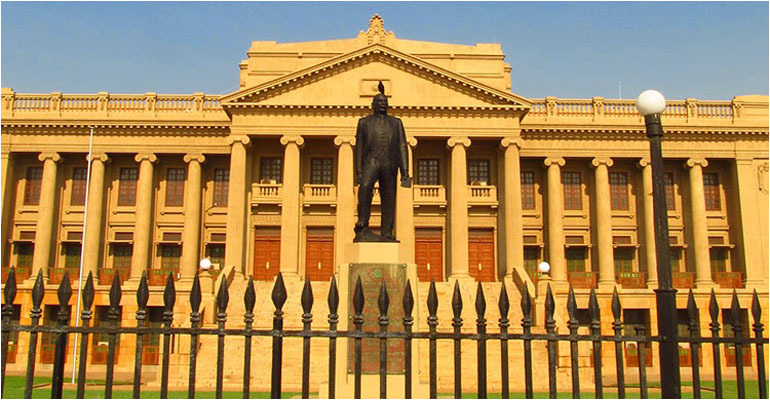 Sri Lanka which is in an economic turmoil after fighting a bitter war for several decades will not be able to undertake a project of that magnitude on her own. No other international funding sources will agree to provide financial support as they know that Sri Lanka alone has no capacity to make such a port economically viable within a reasonable time. The oil tank farm in Trincomallee which was built by the British colonial rulers for military purposes prior to the Second World War has been neglected for a long time and has been exposed to decay. It had been constructed at a huge cost at the time and handed over to us following the departure of the Royal Navy in the late 1950s. Most of those storage tanks are still in good condition and it is a prudent thing to put them to some good use in a way the country can receive some income. Some understanding has already been reached with India to jointly develop these tanks for oil storage and bunkering purposes which will be economically beneficial to both countries. The third demand of the CPC unions is also equally unreasonable. The upgrading and modernization of Sapugaskanda oil refinery is an urgent need as the country is currently spending a massive amount of money to buy refined oil. However, the total project cost will exceed US$ 1.3 billion and with other priorities and repayment of existing loans becoming due, it is not possible to make such an investment. Currently there are plans to develop it with a foreign party as a public private partnership. All these are projects that are necessary to be completed within a reasonable time and Sri Lanka is short of funds to do so on her own strength. Then the next viable alternative is to undertake them with participation of foreign investors. These are mostly policy decisions the government has to take and hardly connected to the labour rights of those who work at the CPC. If tolerated, this type of actions which are totally outside the employment issues of the workers could spread into other areas as well making it impossible for a legally elected government to run this country. Some may raise issues over the manner the military took over the control of the oil installations, but that is the only way the government could bring the situation under control. Public sympathy is surely with the government and not with the unruly strikers who are determined to achieve their motives by taking the government to ransom and destroying state property. This followed a similar wave of trade union action taken by the GMOA recently disrupting the health services over the SAITM issue. That too has similarities in the sense what they were agitating for had lessor connection to the professional or employment rights of the doctors, but a policy matter as to whether private medical education should be recognized and allowed to develop in this country. The striking doctors were not saying so directly, but were insisting that the SAITM should be nationalized which in effect meant that no private medical education institution should be recognized even in the future whatever its standards are going to be. There was a lot of ambiguity on this point which finally exposed the motives of the GMOA. Some time ago they also opposed the introduction of the free ambulance service backed by the Indian government. Despite objections by the GMOA, the government went ahead with the project and the free ambulance service is operating quite well in the western province and is now being expanded to other areas as well. Opposing doctors would have perhaps thought that this would encourage the entry of Indian medical professionals into the country, but it has not happened that way. If you compare the two situations those who participated in the strikes are two groups of employees who are well looked after. Doctors are well paid and enjoy much privileges and perquisites such as right to private practice and duty free vehicles which other state workers are not entitled to. The employees of the CPC have good salaries and enjoy many other facilities such as medical benefits, bonuses and handsome overtime payments enabling even the lowest grade employees to enjoy a much better standard of living compared to other government employees. Both these groups together with workers in similar utilities and essential services have been able to win many demands far and above other categories of state employees because of the vital nature of their services to the daily lives of the people. Thus they have been able to take many governments to ransom in the past when it came to winning employment related demands. However, the issue developing now is different as these trade unions with the backing of certain political groups are now moving outside the traditional areas where trade union rights are recognized and going into governmental policy issues which are remotely connected to their trades. This issue merits adequate public attention as the country is in a critical stage where major reforms are necessary in many vital areas of the economy to take best advantage of the developing macroeconomic and investment climate in Asia and particularly the South Asian region. It is also significant that we will not be able to do this in isolation and it is necessary to work with all regional and global powers that are active participants in this transformation and in this regard China, India and Japan are important partners for Sri Lanka. Any effort to scuttle economic reforms in these vital areas will have a significant negative impact on the future of our country and it is unfortunate that these efforts to block the economic reforms are often backed by disgruntled political forces that are hell bent on ensuring their own survival in total disregard of the economic future of the country.